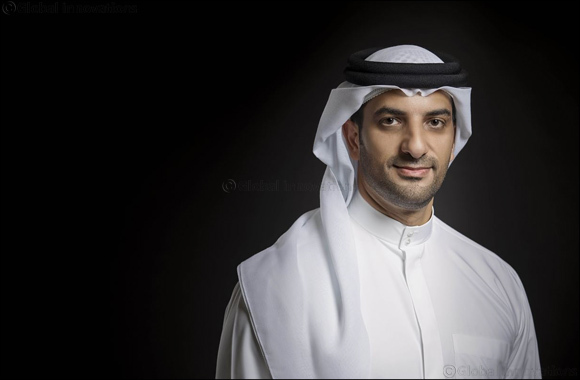 SHARJAH, Sharjah Government Media Bureau, April 18, 2018 -- A high-level media delegation, headed by Sheikh Sultan bin Ahmed Al Qasimi, Chairman of the Sharjah Media Council, will take part in the 15th edition of the Arab Media Forum, being held from April 22-23 in Kuwait. The Sharjah delegation includes HE Dr Khalid Omar Al Midfa, Chairman of Sharjah Media City, HE Mohammed Khalaf, Director General of Sharjah Media Corporation, HE Tariq Saeed Allay, Director of Sharjah Government Media Bureau, HE Hassan Yaqoub Al Mansouri, Secretary General of Sharjah Media Council and other members of the Emirate’s media and government communication sector. Earlier, the Executive Committee of the Arab Media Forum announced the selection of Sharjah as the special guest of honour this year with a series of events and activities celebrating the origins and achievement of the media sector and cultural progress in the Emirate. Sheikh Sultan bin Ahmed Al Qasimi, Chairman of Sharjah Media Council said that guided by the vision and support of His Highness Sheikh Dr Sultan bin Mohamed Al Qasimi, Supreme Council Member and Ruler of Sharjah, the Emirate of Sharjah attaches highest importance to the media sector, viewing it as a key pillar to support development efforts and intellectual initiatives. The Chairman of SMC said that the selection of Sharjah as a guest of honour at this year’s Arab Media Forum in Kuwait is an acknowledgment of the growing profile and stature of Sharjah's media sector, which has undertaken a number of initiatives and plans underlining its growing international role. Referring to participating members and institutions of SMC that support the various roles, needs and responsibilities of the media sector, he said the SMC members hold out the promise of many more achievements in the future contributing to the development and progress of the sector as well as the Emirate. Sheikh Sultan bin Ahmed Al Qasimi stressed the keenness of the Sharjah Media Council to strengthen its international participation in events like Arab Media Forum in Kuwait in order to showcase the progress of the Emirate and its media sector and exchange expertise with various media stakeholders and institutions in the region and around the world. He lauded the efforts of the Arab Media Forum to promote the convergence of Arab media experience and promote a healthy exchange of ideas on issues and challenges facing the sector in the region besides highlighting mechanisms and opportunities of using it for shared development. As part of Sharjah's participation, Sheikh Sultan bin Ahmed Al Qasimi will be delivering a special address on the opening day (Sunday) of the Kuwait forum. Besides, a number of special events and activities have been lined up to shine the light on Sharjah's media environment, its various projects and future directions. The Kuwait forum attracts senior ministers, top officials and owners and editors of the leading Arab media players and institutions. Besides, the Forum will be attended by top media professionals, academics and experts. The Sharjah Government Media Bureau (SGMB) will shine the light on the various achievements, initiatives and projects of the Bureau such as the annual International Government Communication Forum (IGCF), which is hosted by International Government Communication Centre, a subsidiary of the SGMB, as well as the Sharjah Government Communication Award, which recognises achievements in government communication sector and is conferred by the Sharjah Press Club, another subsidiary of the Bureau. The Sharjah delegation will also talk about the investment climate and opportunities in the media sector being offered by the Sharjah Media City (Shams) Media Free Zone. The landmark achievements of the eventful journey of Sharjah Media Corporation (Sharjah Radio & TV) will also be in the spotlight at the high-profile media forum in Kuwait.